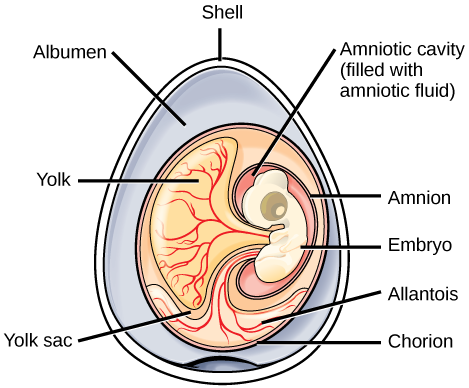 The amniotic egg is the key characteristic of amniotes. In amniotes that lay eggs, the shell of the egg provides protection for the developing embryo while being permeable enough to allow for the exchange of carbon dioxide and oxygen. The albumin, or egg white, provides the embryo with water and protein, whereas the fattier egg yolk is the energy supply for the embryo, as is the case with the eggs of many other animals, such as amphibians. However, the eggs of amniotes contain three additional extra-embryonic membranes: the chorion, amnion, and allantois ([link]). Extra-embryonic membranes are membranes present in amniotic eggs that are not a part of the body of the developing embryo. While the inner amniotic membrane surrounds the embryo itself, the chorion surrounds the embryo and yolk sac. The chorion facilitates exchange of oxygen and carbon dioxide between the embryo and the egg’s external environment. The amnion protects the embryo from mechanical shock and supports hydration. The allantois stores nitrogenous wastes produced by the embryo and also facilitates respiration. In mammals, membranes that are homologous to the extra-embryonic membranes in eggs are present in the placenta. The first amniotes evolved from amphibian ancestors approximately 340 million years ago during the Carboniferous period. 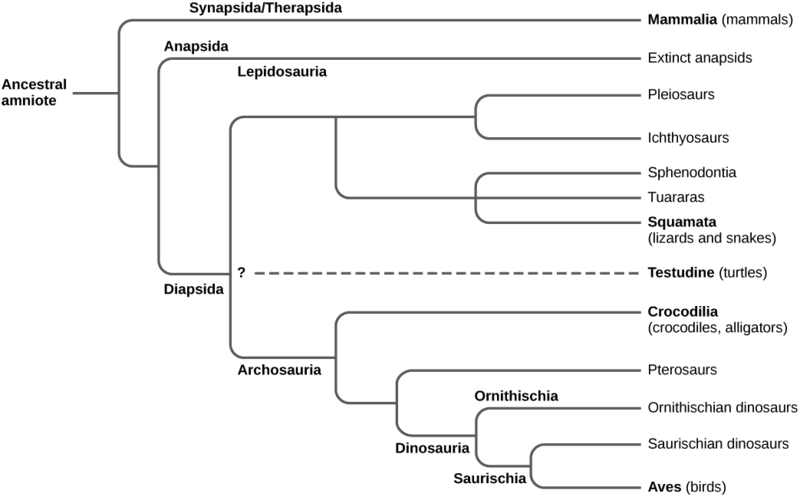 The early amniotes diverged into two main lines soon after the first amniotes arose. The initial split was into synapsids and sauropsids. Synapsids include all mammals, including extinct mammalian species. Synapsids also include therapsids, which were mammal-like reptiles from which mammals evolved. Sauropsids include reptiles and birds, and can be further divided into anapsids and diapsids. The key differences between the synapsids, anapsids, and diapsids are the structures of the skull and the number of temporal fenestrae behind each eye ([link]). Temporal fenestrae are post-orbital openings in the skull that allow muscles to expand and lengthen. Anapsids have no temporal fenestrae, synapsids have one, and diapsids have two. Anapsids include extinct organisms and may, based on anatomy, include turtles. However, this is still controversial, and turtles are sometimes classified as diapsids based on molecular evidence. The diapsids include birds and all other living and extinct reptiles. Compare the skulls and temporal fenestrae of anapsids, synapsids, and diapsids. Anapsids have no openings, synapsids have one opening, and diapsids have two openings. The diapsids diverged into two groups, the Archosauromorpha (“ancient lizard form”) and the Lepidosauromorpha (“scaly lizard form”) during the Mesozoic period ([link]). The lepidosaurs include modern lizards, snakes, and tuataras. The archosaurs include modern crocodiles and alligators, and the extinct pterosaurs (“winged lizard”) and dinosaurs (“terrible lizard”). Clade Dinosauria includes birds, which evolved from a branch of dinosaurs. This chart shows the evolution of amniotes. The placement of Testudines (turtles) is currently still debated. Members of the order Testudines have an anapsid-like skull with one opening. However, molecular studies indicate that turtles descended from a diapsid ancestor. Why might this be the case? 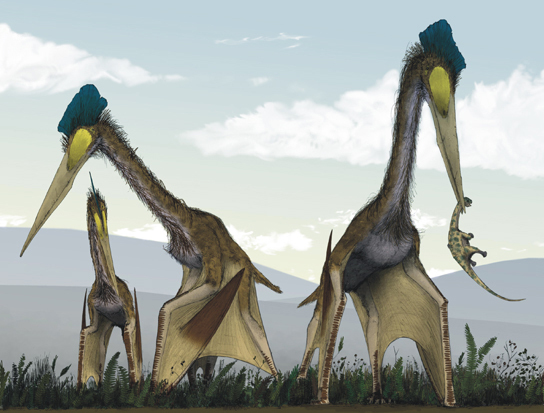 Although they are sometimes mistakenly called dinosaurs, the pterosaurs were distinct from true dinosaurs ([link]). Pterosaurs had a number of adaptations that allowed for flight, including hollow bones (birds also exhibit hollow bones, a case of convergent evolution). Their wings were formed by membranes of skin that attached to the long, fourth finger of each arm and extended along the body to the legs. The dinosaurs were a diverse group of terrestrial reptiles with more than 1,000 species identified to date. Paleontologists continue to discover new species of dinosaurs. Some dinosaurs were quadrupeds ([link]); others were bipeds. Some were carnivorous, whereas others were herbivorous. Dinosaurs laid eggs, and a number of nests containing fossilized eggs have been found. It is not known whether dinosaurs were endotherms or ectotherms. However, given that modern birds are endothermic, the dinosaurs that served as ancestors to birds likely were endothermic as well. Some fossil evidence exists for dinosaurian parental care, and comparative biology supports this hypothesis since the archosaur birds and crocodilians display parental care. Crocodilia (“small lizard”) arose with a distinct lineage by the middle Triassic; extant species include alligators, crocodiles, and caimans. 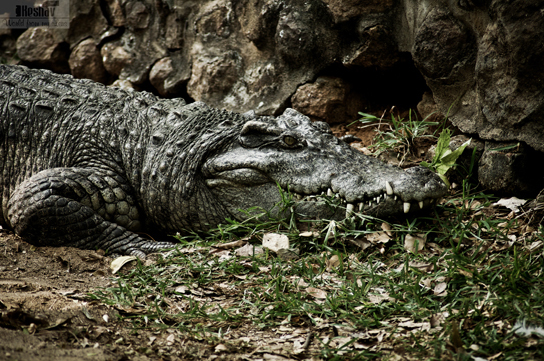 Crocodilians ([link]) live throughout the tropics and subtropics of Africa, South America, Southern Florida, Asia, and Australia. They are found in freshwater, saltwater, and brackish habitats, such as rivers and lakes, and spend most of their time in water. Some species are able to move on land due to their semi-erect posture. 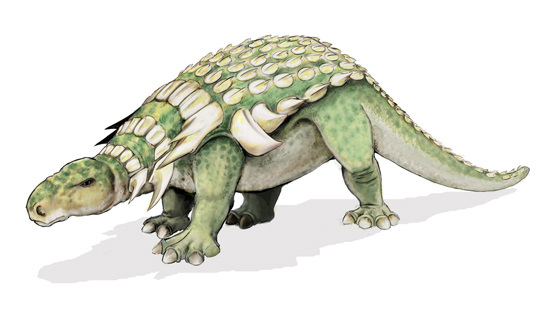 Sphenodontia (“wedge tooth”) arose in the Mesozoic era and includes only one living genus, Tuatara, comprising two species that are found in New Zealand ([link]). 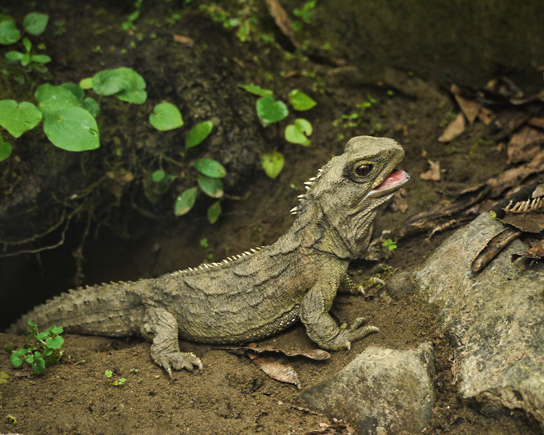 Tuataras measure up to 80 centimeters and weigh about 1 kilogram. Although quite lizard-like in gross appearance, several unique features of the skull and jaws clearly define them and distinguish the group from the squamates. Squamata (“scaly”) arose in the late Permian, and extant species include lizards and snakes. Both are found on all continents except Antarctica. Lizards and snakes are most closely related to tuataras, both groups having evolved from a lepidosaurian ancestor. Squamata is the largest extant clade of reptiles ([link]). Most lizards differ from snakes by having four limbs, although these have been variously lost or significantly reduced in at least 60 lineages. 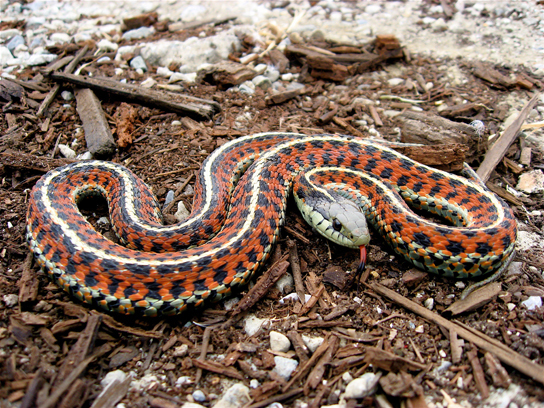 Snakes lack eyelids and external ears, which are present in lizards. Lizard species range in size from chameleons and geckos, which are a few centimeters in length, to the Komodo dragon, which is about 3 meters in length. Most lizards are carnivorous, but some large species, such as iguanas, are herbivores. 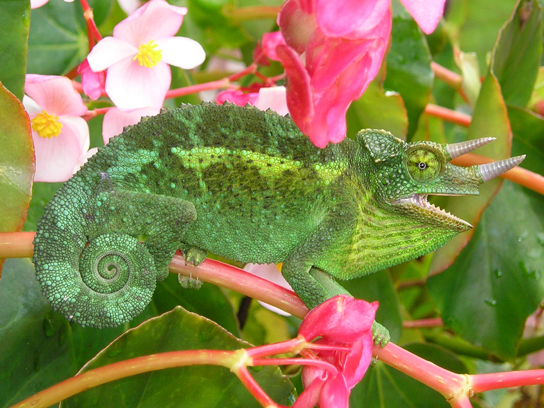 This Jackson’s chameleon (Trioceros jacksonii) blends in with its surroundings. Snakes are thought to have descended from either burrowing lizards or aquatic lizards over 100 million years ago ([link]). Snakes comprise about 3,000 species and are found on every continent except Antarctica. They range in size from 10 centimeter-long thread snakes to 10 meter-long pythons and anacondas. All snakes are carnivorous and eat small animals, birds, eggs, fish, and insects. The snake body form is so specialized that, in its general morphology, a “snake is a snake.” Their specializations all point to snakes having evolved to feed on relatively large prey (even though some current species have reversed this trend). Although variations exist, most snakes have a skull that is very flexible, involving eight rotational joints. They also differ from other squamates by having mandibles (lower jaws) without either bony or ligamentous attachment anteriorly. Having this connection via skin and muscle allows for great expansion of the gape and independent motion of the two sides—both advantages in swallowing big items. 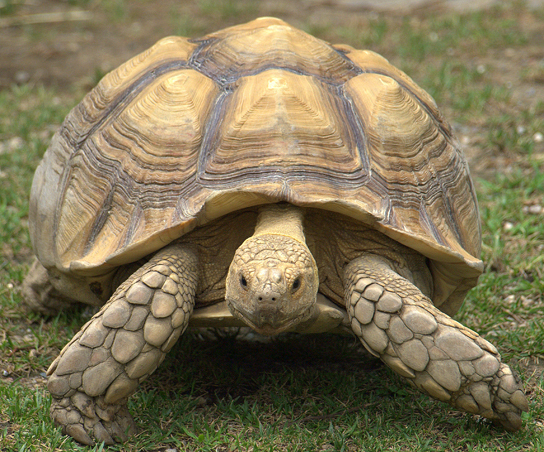 Turtles are members of the clade Testudines (“having a shell”) ([link]). Turtles are characterized by a bony or cartilaginous shell. The shell consists of the ventral surface called the plastron and the dorsal surface called the carapace, which develops from the ribs. The plastron is made of scutes or plates; the scutes can be used to differentiate species of turtles. The two clades of turtles are most easily recognized by how they retract their necks. The dominant group, which includes all North American species, retracts its neck in a vertical S-curve. Turtles in the less speciose clade retract the neck with a horizontal curve. During the Mesozoic period, diapsids diverged into_______. Describe the functions of the three extra-embryonic membranes present in amniotic eggs. The chorion facilitates the exchange of oxygen and carbon dioxide gases between the embryo and the surrounding air. The amnion protects the embryo from mechanical shock and prevents dehydration. The allantois stores nitrogenous wastes produced by the embryo and facilitates respiration. What characteristics differentiate lizards and snakes? Lizards differ from snakes by having eyelids, external ears, and less kinematic skulls. 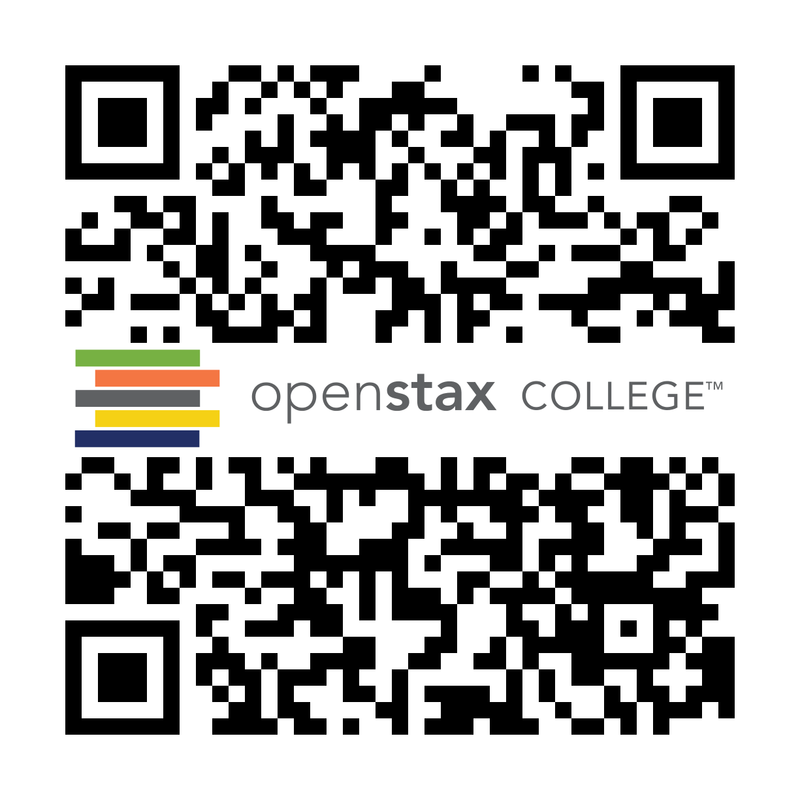 Reptiles by OpenStaxCollege is licensed under a Creative Commons Attribution 4.0 International License, except where otherwise noted.